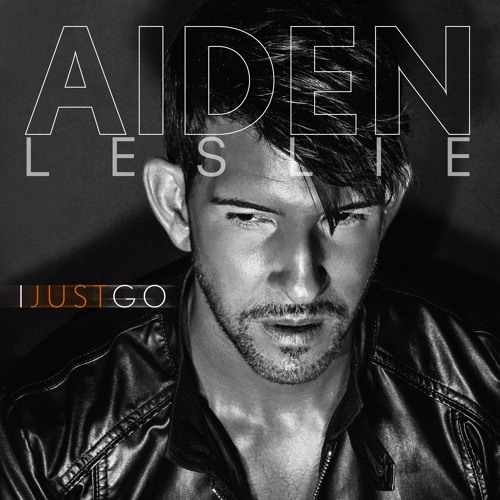 When Junior Vasquez’s remix of Aiden Leslie’s “Love to Hate You” - a remake of the Erasure song - ignited dance floors in 2009, it introduced singer Aiden Leslie as a formidable young talent. Media around the world dubbed him “one to look out for”. But then, tragedy struck. Aiden suffered the unexpected loss of his beloved sister and he walked away from music for - what his grief led him to believe - forever. But then in 2011, he returned with “Worlds Away”, a song that paid tribute to his sister. It’s music video reached the #1 position on MTV Logo’s music countdown, where it remained for a record four consecutive weeks. When it was added to rotation on MTV and VH1, Aiden knew he was back. He followed the hit with the pop anthem “Trying to Leave Now”, and again charted #1 on several pop/dance charts around the globe. Then, in the summer of 2012, he released the video and single “Diamond Dreams”, recounting his steps from Ohio to achieving success in New York City. Six days after graduating high school in Ohio, Aiden Leslie moved to New York City to pursue his music dreams. “I was mesmerized by Elvis as a child,” he remembers. “My parents were huge fans and would always play his records. One morning I told my parents I wanted to be a singer like Elvis and they said I could do anything I wanted. Their belief encouraged me.” In New York, Aiden was cast in an off Broadway play. In between rehearsals, he would tag along with the show’s sound engineer and scour the shelves of Eightball Records, a vinyl record shop that was popular with DJs in the mid-nineties. There, Aiden was introduced to an underground music world he didn’t know existed. It wasn’t long before he became a fixture in the New York nightlife, frequenting clubs like Palladium, Tunnel, Twilo, Roxy, and Jackie 60 to listen and dance to after-hour DJs Junior Vasquez and Danny Tenaglia. “I saw dance and the underground club scene as another form of theatre”, he explains. “Unscripted and self-expressive; an art form in stark contrast to the strict structure of the traditional plays I was performing in.” The one element he found to be lacking in dance was the presence of strong male vocalists. “A lot of DJs are simply not open to playing male artists on their dance floors. I think it’s time that has changed. I want to be a part of the movement to bring more guys to the floor.” As a songwriter, Leslie has become known for using his songs as personal diary entries. “Worlds Away” examined the aftermath of struggle, and how people eventually reach a light at the end of the tunnel and grow from adversity. “Trying to Leave Now” looked at fighting feelings in the heart, leaving a love the mind knows is not right. And “Diamond Dreams” reflected on Aiden’s story of coming to New York City six days after his high school graduation; how he grew from a boy to a man, navigating his way through the tough city streets, seeking his dreams to become the performer he is today. And, It’s become a reality as he has been steadily touring the country the last four years, playing to huge crowds in cities such as Los Angeles, Chicago, Miami, New York City, Atlanta, Albany, Columbus, Norfolk, Tampa, and Ft. Lauderdale often opening for acts such as Wilson Phillips, Deborah Cox, 10,000 Maniacs, Debbie Gibson, Aaron Carter, and Kristine W to name just a few. “My fans are always my priority and meeting them makes it all worth it” says Leslie. In 2014, Aiden achieved another milestone by breaking out on the Billboard Dance Chart with his hit “Nobody Said. It tackles a desire many (including Aiden Leslie) feel is even more out of reach: finding ultimate love. Next up for Aiden: A song that was one of the very first that he wrote, “I Just Go”. “This track explores things we can all identify with…doing the same thing over and over and expecting a different result”. It’s without a doubt one of the most vulnerable songs I’ve ever written” says Leslie.